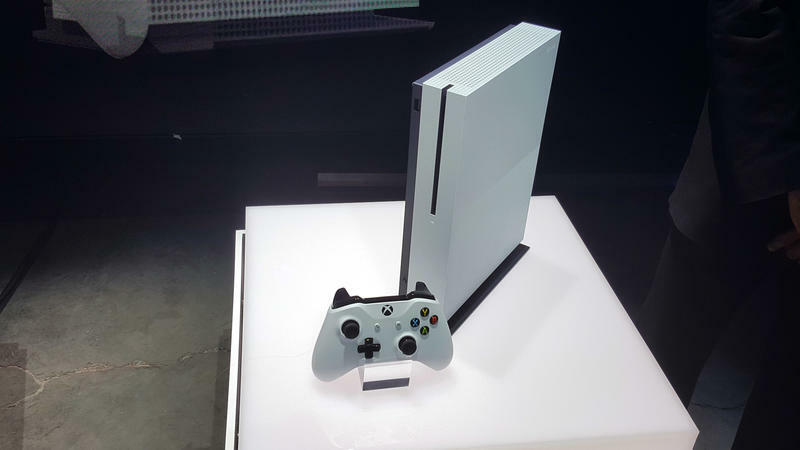 The Xbox One Slim really is a tiny piece of hardware compared to its big brother. To say it’s 40 percent smaller is one thing, but when you actually see it up close, it’s something else all together. For the most direct point of comparison, take a look at the jackpack on the back of the device and the shots of the controller right in front of the hardware. In essence, what they’ve done is cut out all the extra air inside the case. 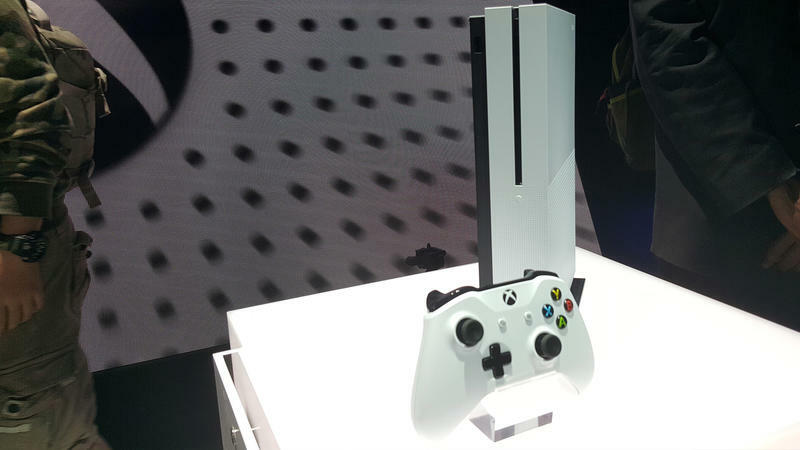 The Xbox One was huge (like Xbox) because Microsoft was worried about repeating the “Red Ring of Death” heating defect that crippled a billion dollars worth of Xbox 360 systems, nearly tanking the Xbox business right as it was finally getting off the ground. With some more hardware successes under their belts, though, Microsoft seems a bit more confident. In essence, it looks like they’ve deflated the system, sucking the air out and giving us what was left. The Kinect-specific port is gone, and the camera will require a dongle to connect to the USB port on the back. Two elements of the slimmer system surprised me, though. First, they packed the power brick inside the system, as the PlayStation 4 did. The Xbox One’s power brick was massive, so that already makes the system way more portable. Also, the system still has the second HDMI port meant to allow HDMI passthrough for the system’s TV elements. With the way Microsoft is pushing back against the system’s media reputation, dropping the second HDMI port seemed like an easy way to keep that going and cut some cost from the system. I use the TV functions, so I’m not complaining. 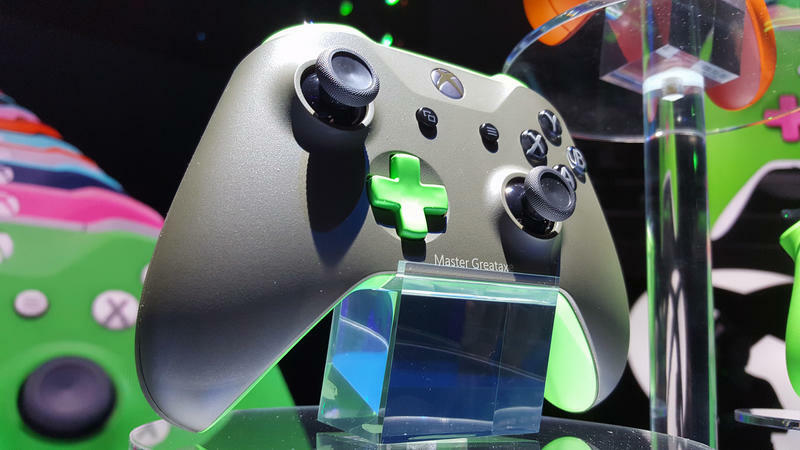 As for the custom controllers, they’re of the new variety coming with the Xbox One S. The controllers include a Bluetooth radio for easier, adapter-free PC gaming, as well as a stronger signal to make wireless gaming a better experience overall. The controller still requires AA batteries, a point of contention among gamers. 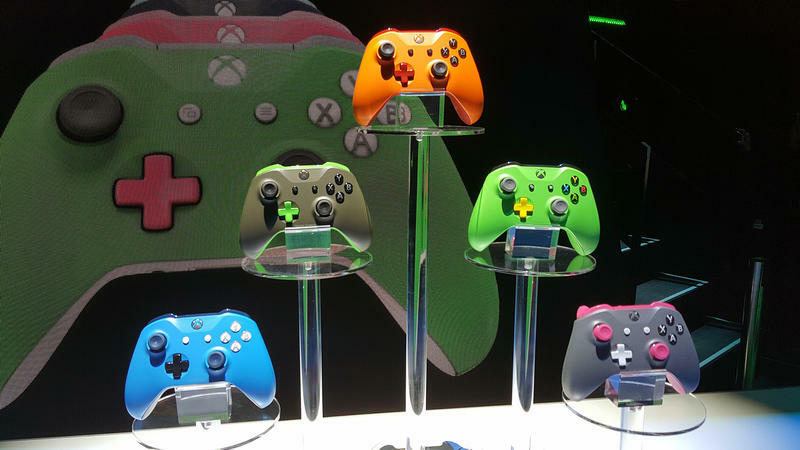 The custom controllers pictured above will ship in September. 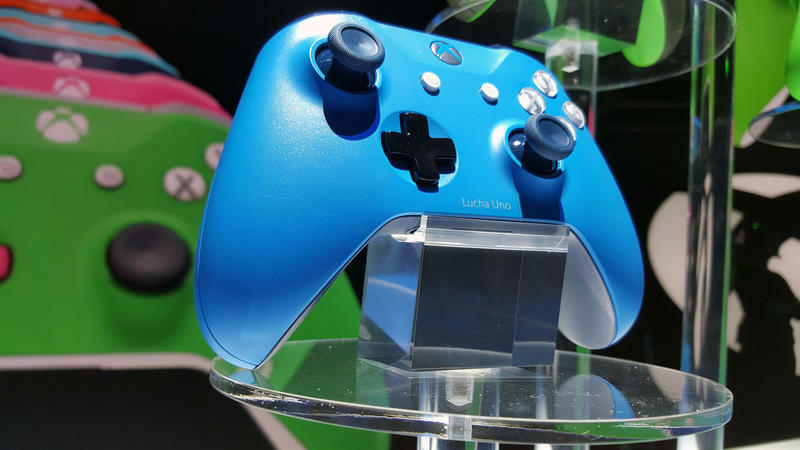 After that, they’ll take about 14 days to ship according to a Microsoft rep we spoke with. 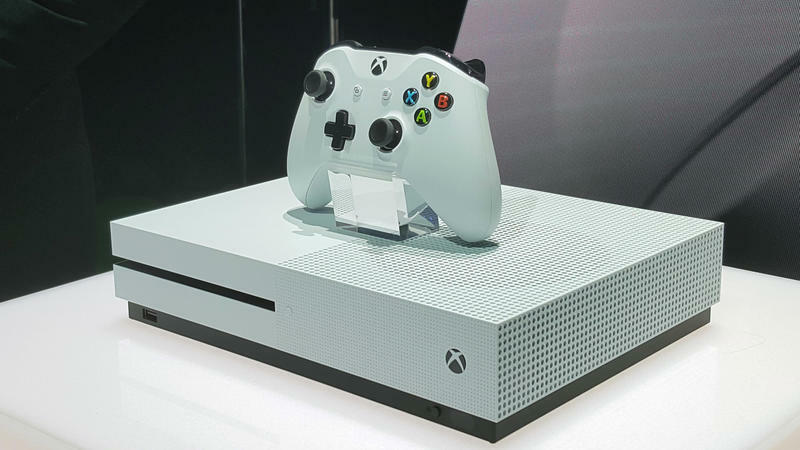 The entry-level Xbox One S, packing 4K video, HDR color, and a 500TB hard drive, ships in August and will run $299.